shipping, please fill in the form below for a quote. For international orders: The buyer is responsible for customs/duty/vat charges. 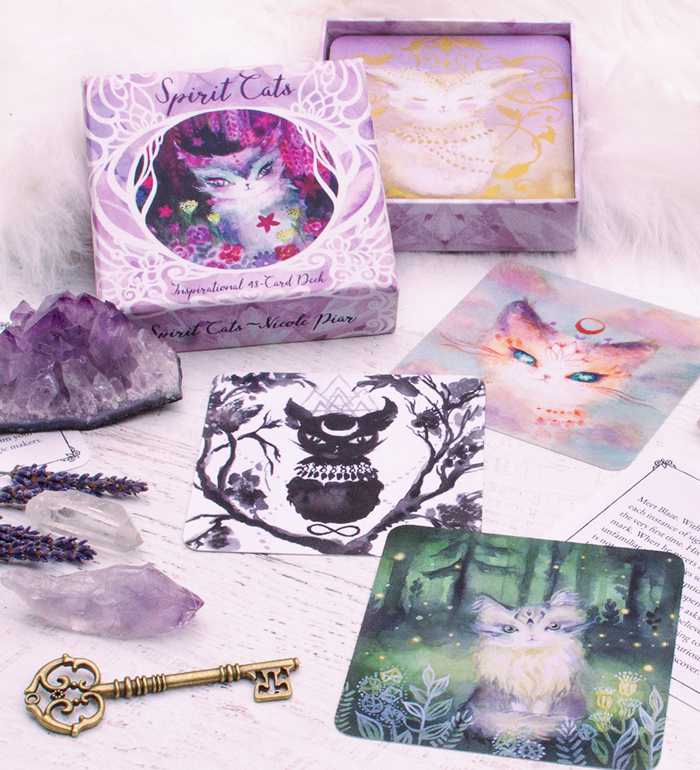 For large stores with a national presence, subscription boxes with wide distribution or other large-scale businesses, I offer high quantities of wholesale Spirit Cats Decks delivered straight to your warehouses with prices that are inclusive of shipping. If you have a brick-and-mortar shop and it is your 1st order of 5+ decks, you will receive an additional free sample deck for customers to explore in the shop. Interested in placing a wholesale order? QUESTIONS? Fill in this form and I will contact you in a flash. NOTE: I am on vacation and will be responding to all inquiries on October 2, 2018. Thank you!